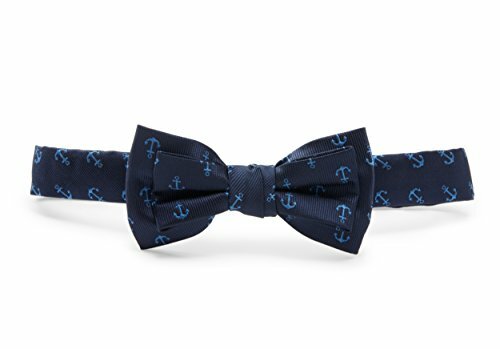 He'll melt so many hearts in our blue jacquard anchor bow tie. Perfectly preppy and ready to top off any look from dressy to ivy league casual. Pre-tied, with back fastening.